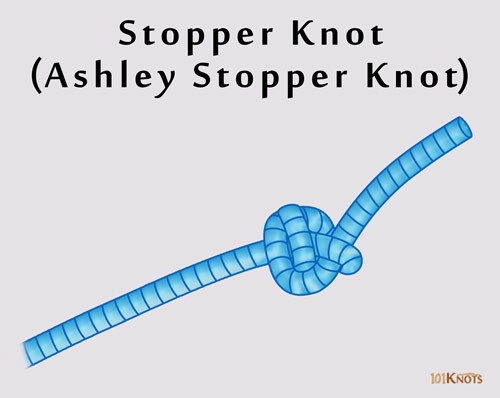 Also known as the Oysterman’s stopper, the Ashley stopper knot is of an excellent bulky nature that allows it to serve the purpose of a stopper knot, that is, to prevent the end of a rope from unraveling, passing back through a hole, device or block and slipping through another knot. It is a three-lobed structure that looks quite symmetrical when viewed from the underside. 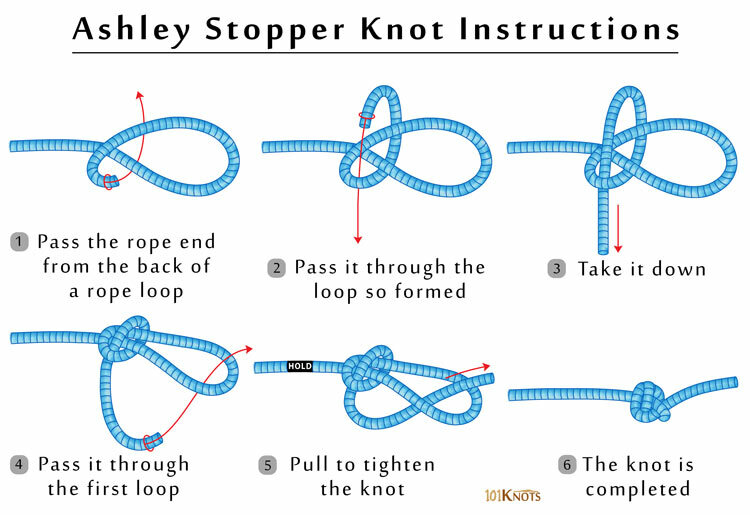 It is so named as it was developed by American knot expert and author, Clifford Ashley in 1910 approximately when he tried to duplicate a knot he saw on a local oyster fishing fleet boat. Easy to get it wrong. The tightening process should be done in sequence as shown in the above diagram. Double overhand stopper knot – Smaller in size.